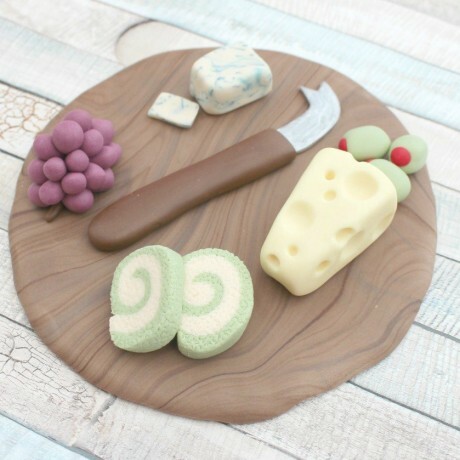 Handmade sugarpaste 6" round cake topper featuring cheeseboard, cheese, grapes, olives and a cheese knife, made to order to decorate your celebration cakes. Perfect to top the celebration birthday cake for a cheese lover. The model is approximately 6" round, built on a 6" cake board, but this may differ slightly as all models are hand made.